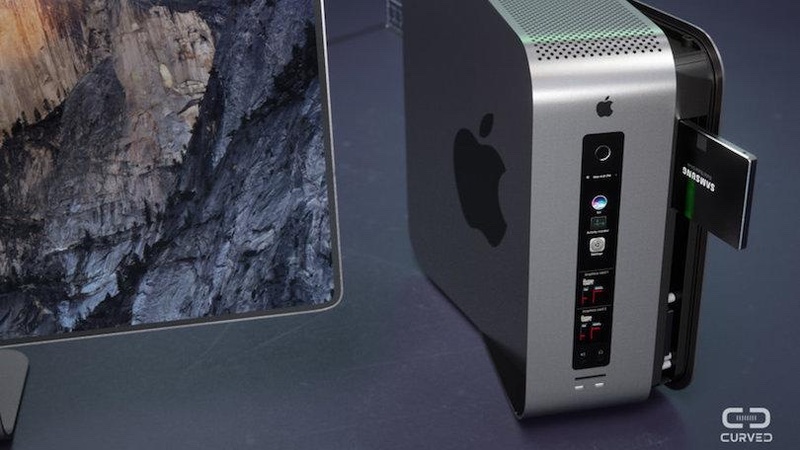 Apple's revamped, modular Mac Pro aimed at professionals won’t launch until next year, reports TechCrunch's Matthew Panzarino. He met with the Apple execs “most responsible for shepherding the renewed pro product strategy”: John Ternus, vice president of Hardware Engineering; Tom Boger, senior director of Mac Hardware Product Marketing; Jud Coplan, director of Video Apps Product Marketing; and Xander Soren, director of Music Apps Product Marketing. This concept of a modular Mac Pro is courtesy of PCMag. A year go, Apple told John Gruber at Daring Fireball that they're working on a “completely rethought” Mac Pro, with a modular design that can accommodate high-end CPUs and big GPUs, and which should make it easier for Apple to update with new components on a regular basis. Apple is also working on Apple-branded pro displays to go with them.